Whether you are planning to finish your basement or you already have a basement living space that needs air conditioning, you have a few different options. Basements have some unique challenges when it comes to cooling. Before you consider an AC system install, you want to be sure you are making the right choice that will bring optimal comfort to your basement. Dampness/humidity. Basements, being underground, tend to stay damp. Keeping out excess humidity is a constant battle. Windows (or lack thereof). Some basements lack windows entirely. Others have very small windows that are often located up high at ground level. Extra square footage (when finished later). 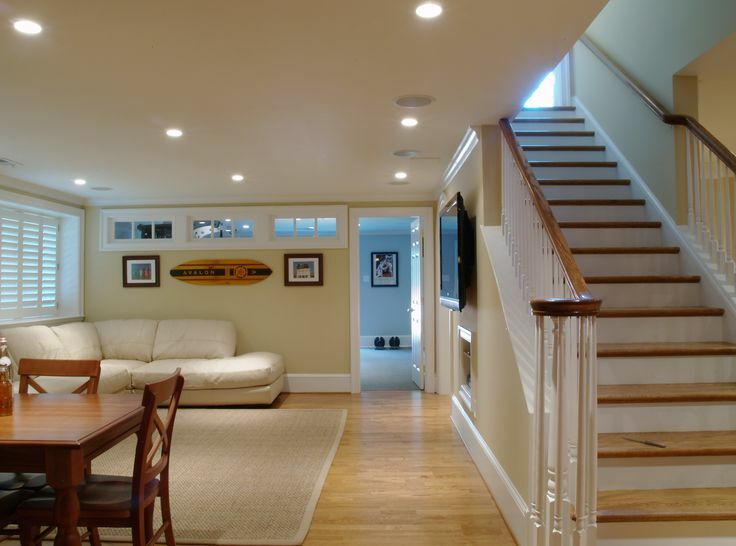 When a basement is finished after the rest of the home it adds additional space that needs to be cooled beyond what was originally there when the current air conditioner was installed. The size of a home’s HVAC system is determined based on the number of square feet to be cooled. Dehumidifier. Air conditioners naturally manage humidity levels in any space that is being cooled. However, it may still be wise to use a separate dehumidifier to remove even more excess moisture from the air. This ensures that humidity is properly managed and that your AC can run more efficiently. The natural dampness of basements can lead to mold and mildew growth if moisture is not kept in check. Ductless mini-split system. Window units are either difficult or impossible to use in basements. Ductless mini-split air conditioning systems are ideal for cooling a single room and only require a very small hole in the wall for a pipe to connect to an outside unit. They are mounted directly onto the wall and quietly and efficiently cool the room. Add on to your current central air conditioning system. One option is to simply extend your current HVAC system to cool the basement as well. However, this will only work if your current system can handle the additional square footage that your basement will add. If you are unsure about this, the contractor who performs your AC system install can calculate whether or not your existing unit can sufficiently cool the additional space. If not, you may consider replacing your system with a larger one (this may be a wise choice if your current system is already over eight years old). If it is relatively new and does not need replacing, but cannot handle the extra load, the ductless mini-split system is still an option. You can only truly enjoy the additional living space your finished basement offers when it’s cool and comfortable. Let Berico expertly perform your air conditioning installation so that it looks as good as it feels. Whether you add onto your current system or install new equipment, Berico offers affordable, reliable service. Call today for a free estimate: (336) 273-8663. Tips for Buying a New AC System for Your Historic Home Why is My Air Conditioner Clicking?